Pfc. 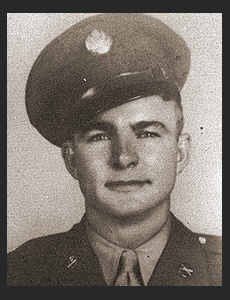 George L. Foley, son of Mrs. Clara Swartz, graduated from Manitou High School; husband of the former Eillen O'Brien. Entered Army in July, 1944, trained in Camp Wolters, Texas; served in England, France, Belgium, Holland, Luxembourg, and Germany, where he was wounded in action May, 1945. Awarded Good Conduct Medal, ETO Ribbon with on Battle Star, Combat Inf. Badge, the Purple Heart.